When thoughts turn to setting up a saltwater aquarium and keeping marine fish, many assume it is difficult and expensive. However, this is not necessarily true. Within the marine hobby, there are a variety of price categories available to accommodate even the most frugal of enthusiasts. Best of all, present technology exists to make maintenance a breeze! 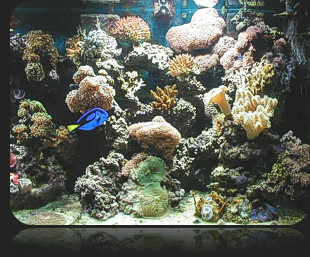 Marine Aquariums can be very easy to keep and maintain provided you put in the right species of marine fish. Some have failed in the past because they attempted to keep the wrong types of fish. 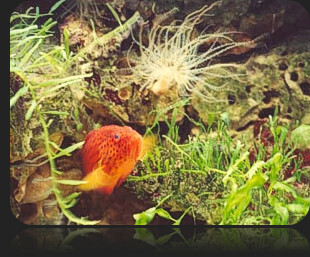 It is important before starting a marine aquarium to know the proper care and personality of each fish species so that you understand the risks involved. For example, keeping a difficult species increases the risk for potential problems. Once the risks have been acknowledged, you can then determine what level (easy-A, moderate-B, difficult-C) of marine aquarium you will maintain. At Aquarium Adventure, we group our marine fish into three classifications (A, B, or C). 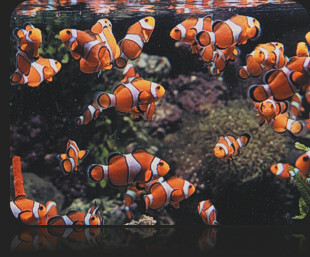 Keeping a marine tank with all “A” classified fish will be extremely easy, with very few concerns. A novice will be successful with “A” fish. Once the line is crossed into fish classifications of “B” or “C,” there exists the risk of increased potential challenges. 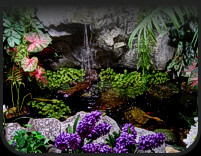 First and foremost, have a quarantine tank set up for all new “B” or “C” fish. These fish will stay in the quarantine tank for 2 weeks before being moved into the exhibit tank. Second, do not purchase newly arrived fish, allow them to acclimate to the store’s tank and observe them for several days before opting to buy. Third, do not purchase fish that are not eating. Have the store feed the fish before you buy. Fourth, after acclimating a new fish to your tank, observe closely that it is allowed to settle in to the environment, that other fish are not keeping it in the corner, at the top or bottom of the aquarium. Finally, know that most marine fish are taken from their natural environment. We don’t know their life history and the effects of external stress. Even with all good intentions of sending home a healthy specimen, a problem can still arise. So, know your risk, and plan your purchases accordingly. The three fish classifications (A, B, and C) are determined with regards to; the price, growth size, resistance to health problems, feeding requirements, and aggressiveness of each species. The following provides a more detailed explanation of the three classifications. A-Fish are inexpensive ($3-$45) and stays relatively small (1”-4”). They are extremely hardy, with very few health concerns. They are good eaters, of most kinds of prepared foods. 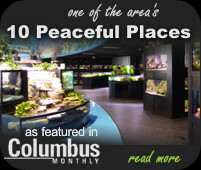 Generally, they are not aggressive and are a community type animal. B-Fish are moderately expensive ($30-$95) and moderate in size (4”-7”). They will need larger aquarium (minimum 50-75 gallons). They are fairly hardy, but susceptible to parasite infestation (a quarantine tank is recommended). Generally, they will eat prepared foods, but they will also require supplements of specialty foods. They tend to be more aggressive due to their territorial nature. There are more complications when mixing B-Fish into a community tank. C-Fish are expensive ($85-$300). They grow to a large size (7”-24”) and will need a very large aquarium (minimum 100 gallons). They may be difficult to keep because of inadequate knowledge about their care and requirements. C-Fish are easily susceptible to health problems, especially parasites. They may be difficult to feed, and generally they will not eat prepared foods. They will only eat specialty foods. C-Fish can be very aggressive, territorial, and difficult to put into a community tank.